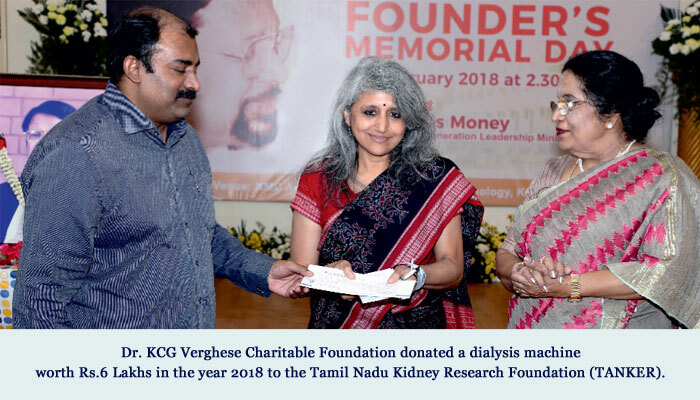 Dr. K.C.G.Verghese Charitable Foundation was established in memory of the late educationist and philanthrophist Dr. K.C.G.Verghese. 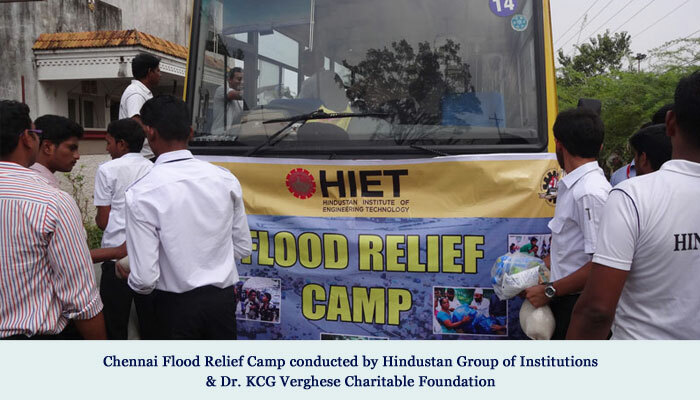 The three guiding principles … CARE, CONCERN, COMPASSION … symbolize Dr. K.C.G.Verghese and this trust has been established by the family of Dr. K.C.G.Verghese and Hindustan Group of Institutions to assist the needy and the deserving. 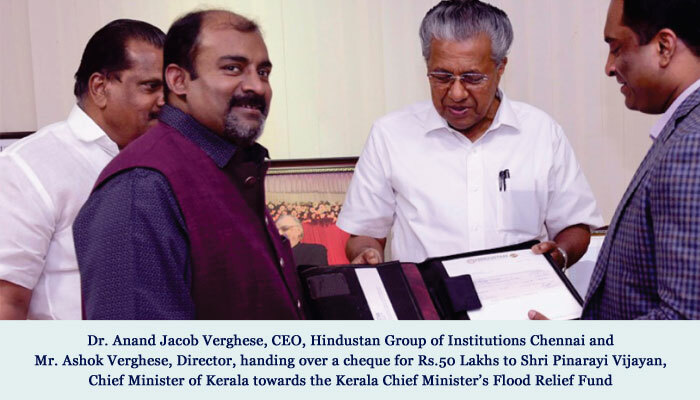 Dr. K.C.G.Verghese was a patriot and a humanist whose ideals and vision shaped an exceptional educational conglomerate. 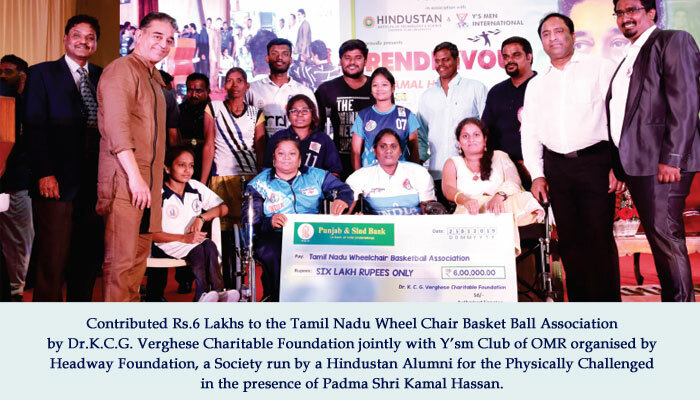 The panoply of community development endeavour undertaken by Dr. K.C.G.Verghese — embracing everything from health and education to art, sport and more — has touched, and changed, many lives. Hindustan Group of Institutions was established in the year 1966 and is the handy work of our Founder Chairman Late Dr. K.C.G.Verghese. In an era when private institutions not even a thought conceptualized, made it a concrete reality through his hard work, persistence and the drive to remove all setbacks and be a leader among equals. He was a great architect and alchemist who touched millions of life and changed them into pure gold. 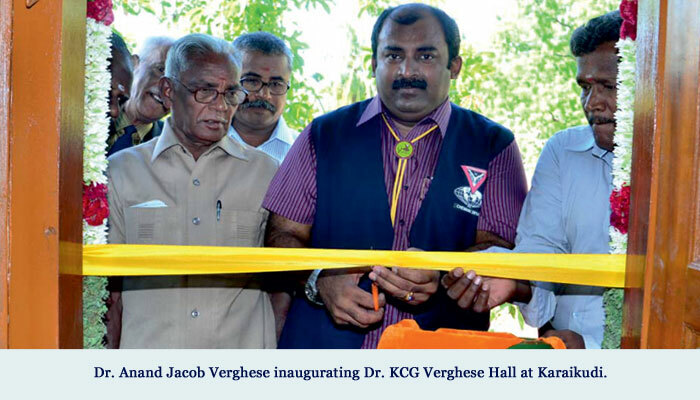 Dr.KCG VERGHESE HALL AT Sivakasi.